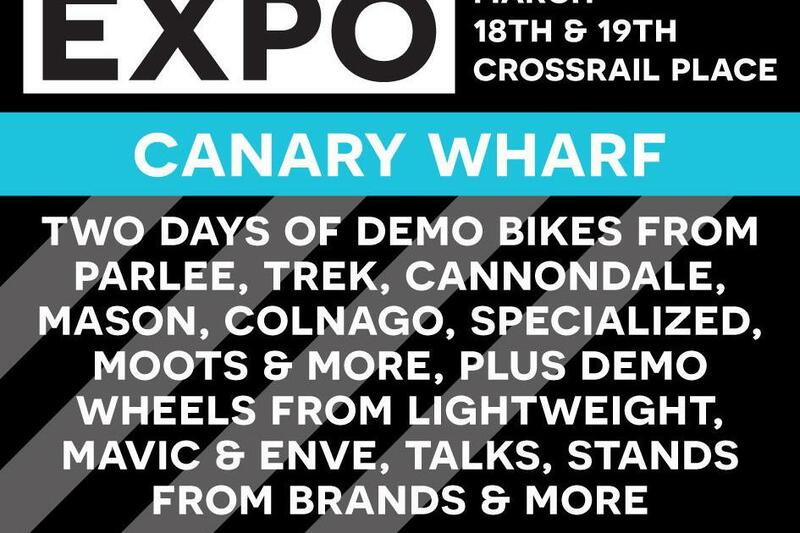 Come along to see us at Bespoke Crossrail Place on Friday 18th & Saturday 19th of March for our Bike Expo featuring demo bikes, demo wheels, stands from bike, clothing and accessory brands, talks and more. We'll have demo bikes from Parlee, Colnago, TREK, Cannondale, Moots, Specialized and Mason, all based in Adams Plaza from 10:00 to 18:00. 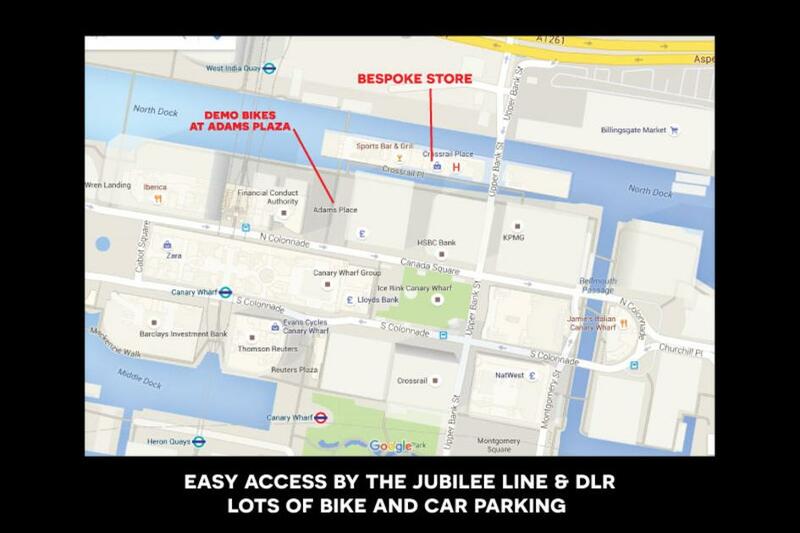 Bring ID and your helmet and you can test ride for 20 minutes. We'll also have demo wheels from Lightweight, Mavic and ENVE. Our friends at Rouleur are offering a free issue to those who test ride bikes or wheels, so come and claim yours! Ben will be doing a bike fit presentation followed by a Q & A on both days, at 11:00 and 13:00. He'll be going through our 4D Fit process, discussing Body Fit, and how all of this can help you get more out of your cycling. Got questions about bike fitting? Come and ask! We'll be joined by representatives from award winning Mason Cycles, Tom from Parlee Cycles in the US, Matt will be here from Moots in Colorado, Chris from Lightweight, plus other folks, so if you have any questions about specific brands or products come and talk with them. We'll also have the Tacx Neo on site, with a prize challenge if you want to try out this incredible next-gen turbo trainer. 7mesh will be presenting their amazing technical clothing line and we'll have new season kit from Queen of the Mountains and POC too.